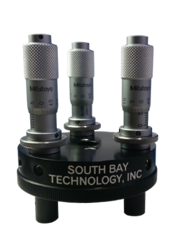 We supply a large number of lapping and polishing fixtures that hold samples from less than 1/8" to over 8" in diameter. With many fixtures, samples can be precisely lapped with mircrometer or digital thickness control. Fixtures are available that will lap or polish edges at specific angles.